We supply Static Safety Line which is the culmination of an extensive development programme designed to deliver the most responsive, reliable range of static descent braids available. 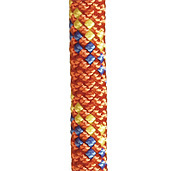 The lines we supply are characterised as supple for handling, coiling and giving superior feel and control when used with certified hardware in any abseil, belay or static descent application. Donaghy's Response® and Response XT® from static braid construction is the evolution in design which reflects the experience and expertise of renowned users, leading hardware manufacturers and distributors with the skill and technical excellence of their manufacturing team. 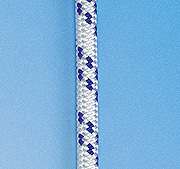 Donaghys polyester static abseiling braids are a double braid and firm in construction. Polyester is a tough, abrasion resistant fibre with less stretch and shrink characteristics than Nylon.